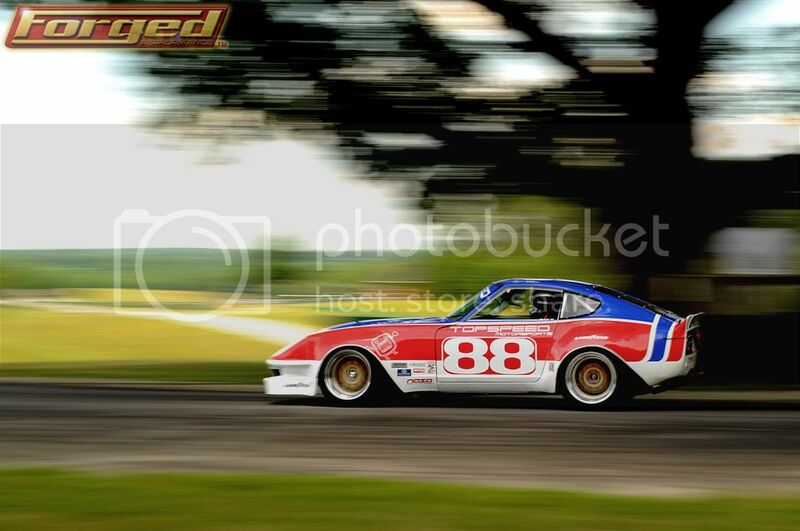 Posted in: Events and Meets, Motorsports Division, Shop News. 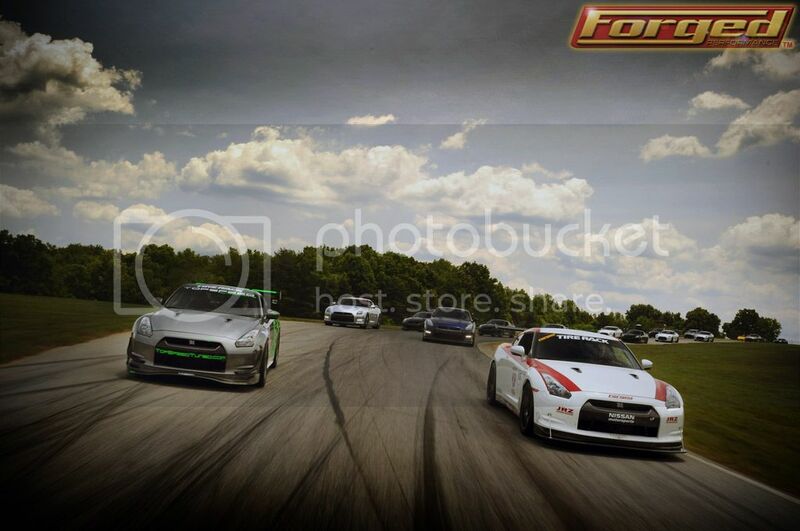 Tagged: Forged Performance, GT-R, NAGTROC, Track Day, VIR. 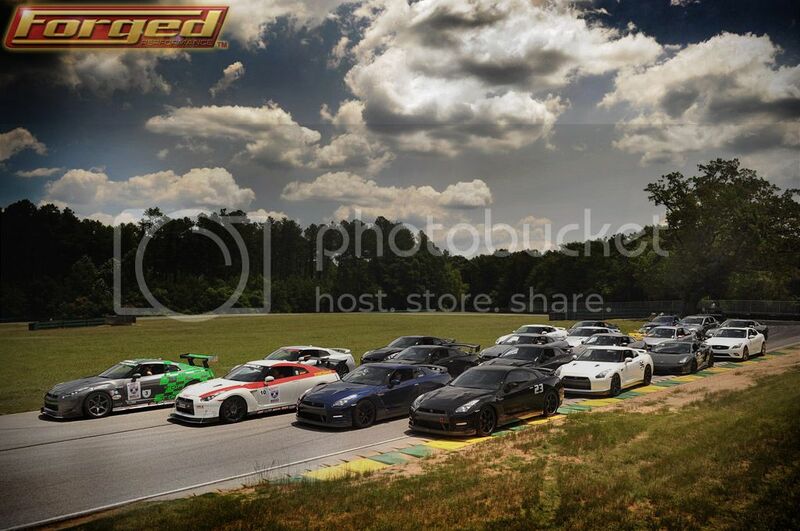 As the 4th Annual Forged Performance/Nagtroc VIR Track day goes into the history books, I wanted to thank the entire Nagtroc community for being a part of one of the largest gatherings of GT-R’s ever assembled on a race track. 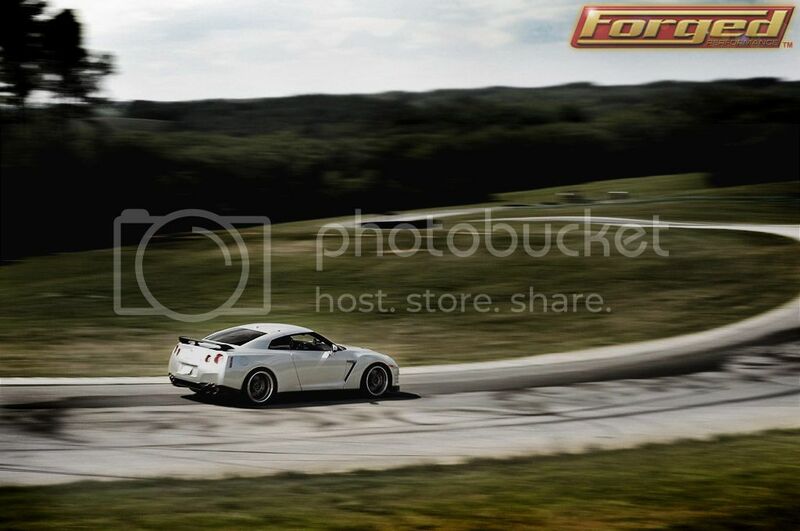 Over the past 4 years, the event has doubled in size, and attracts GT-R owners from hundreds of miles away. 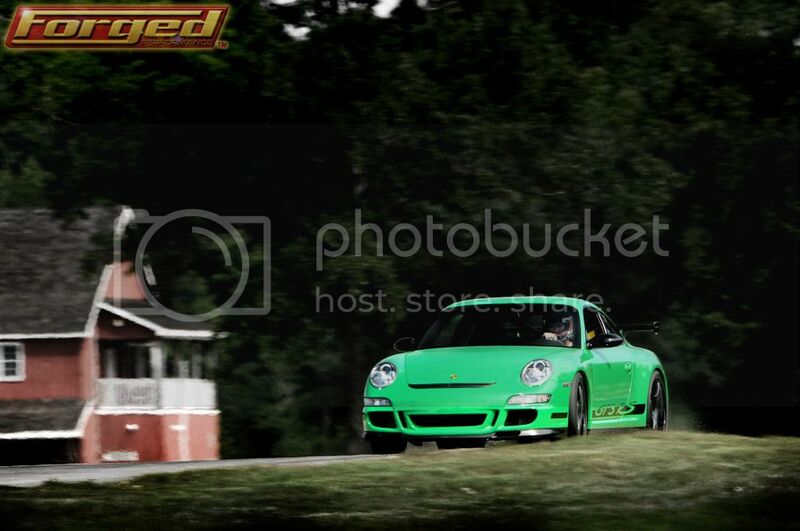 The draw to VIR is unquestionable, and embodies the best of racing circuit courses around the world. 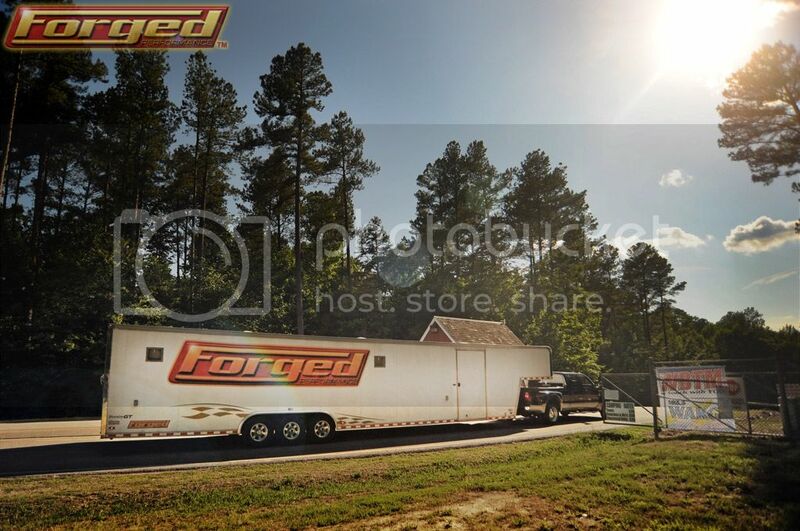 On Sunday morning, the Forged team piled tightly into our F-450 with 48 Foot Hauler in toe and made the 6 hour drive to VIR. We barely had room for Brutus but managed to shoehorn him in between my laptop bag and dashboard. 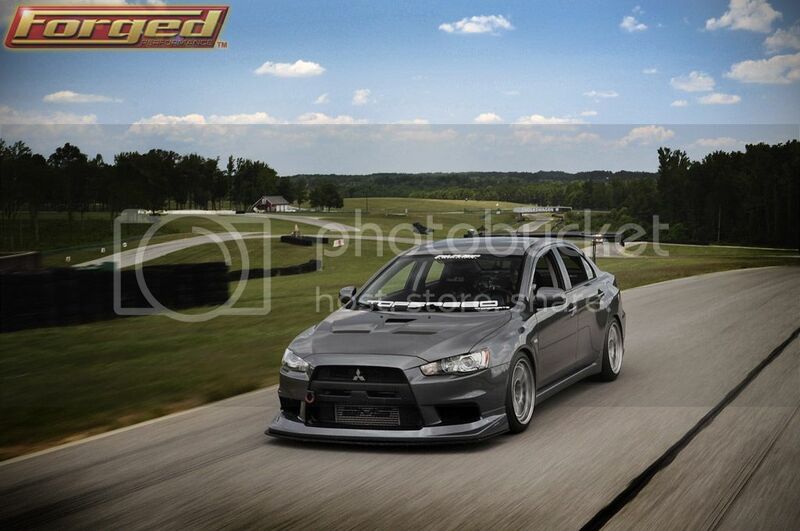 We arrived at the gates of VIR at 5:30pm sharp and were greeted to the site of some perfect weather as we entered heaven on earth, also know as VIR. Sunday night, we hosted a meet-and-greet while participants got to know each other. It was great to see a lot of familiar faces, and a handful of new ones. 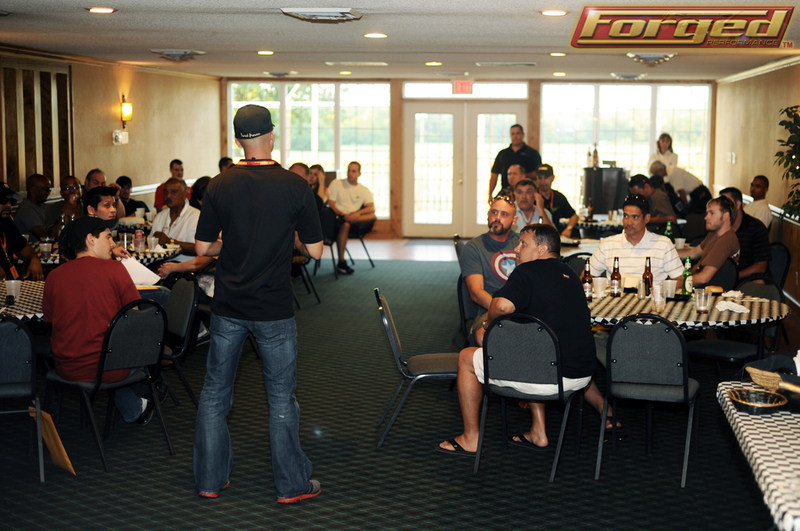 Monday morning began at 6am for the Forged Performance team as we prepared for the 42 drivers that registered for the event. 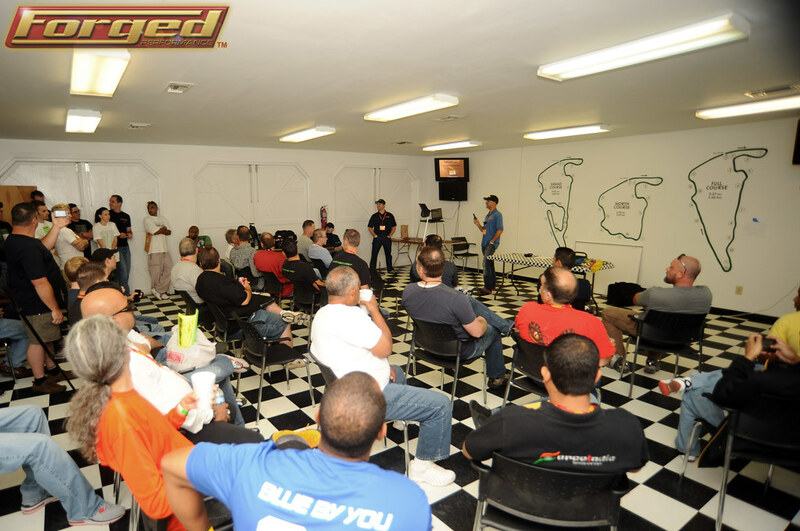 Every track day or race always begins with the infamous Drivers Meeting. 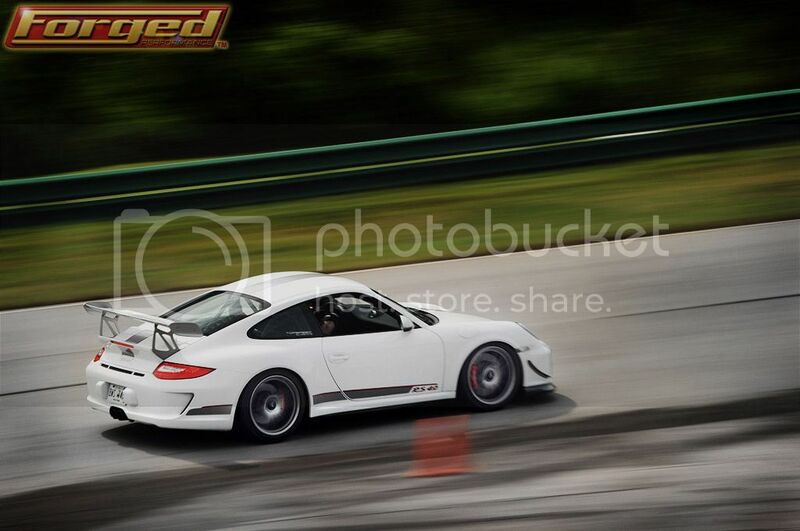 Despite the lack of coffee, I managed to keep everyone awake as we reviewed track basics, the rules and procedures at VIR, flags and other keys to a safe and successful track day. With that, we headed out to tackle one of the most challenging and most rewarding circuits in the country. 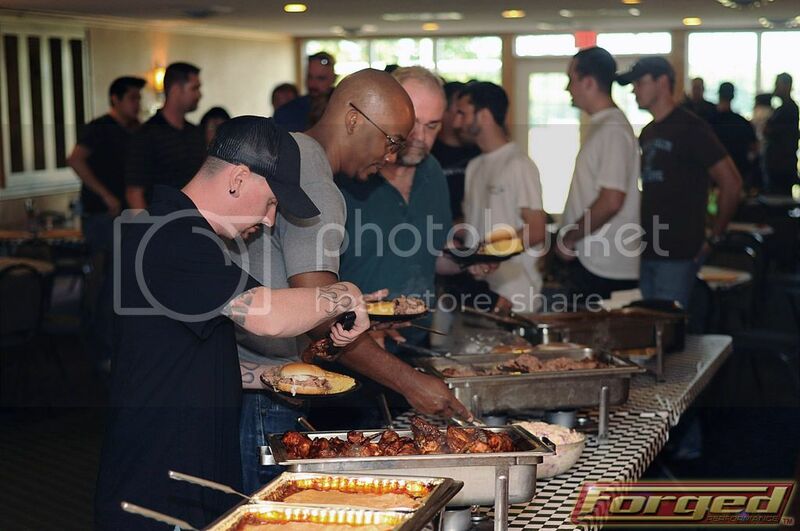 Chad captured some great shots throughout the day. We had more fast red group drivers than ever and many of them put on quite a good show. 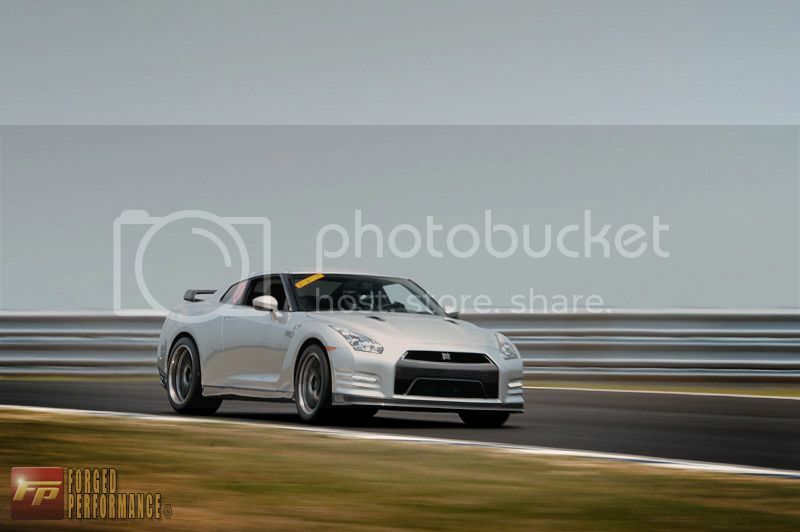 The green group was the perfect place for novices to familiarize themselves with driving a GT-R on track. 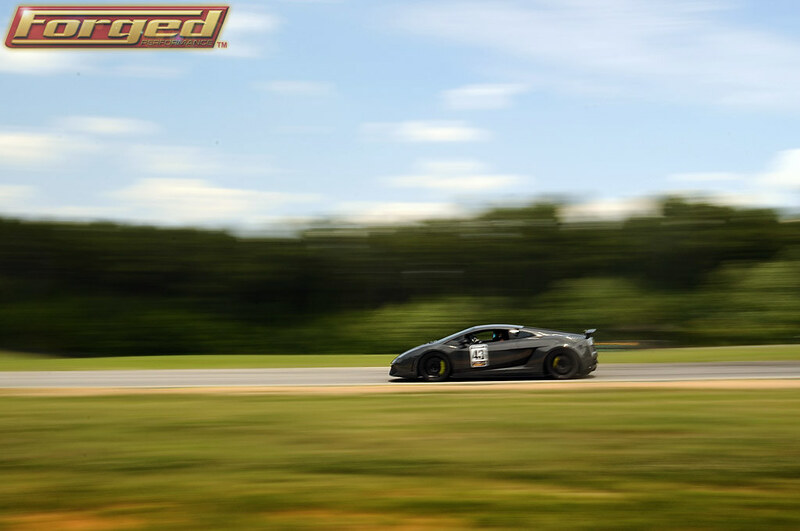 And by the afternoon sessions, we had folded two groups together which results in an enormous amount of safe and open track time. 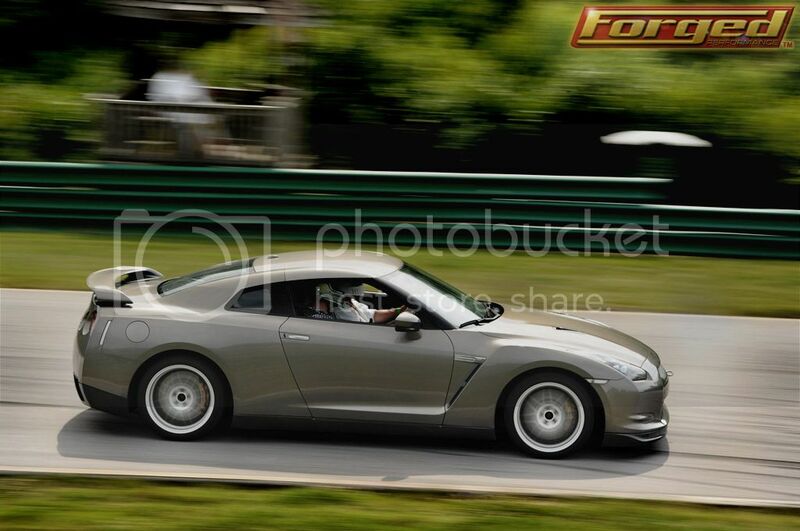 This is what a good track day is all about! The weather was absolutely perfect this year, with temps in the high 70′s and a light breeze, occasional patches of clouds rolling through provided brief respite of shade. We really couldn’t have asked for a better day. 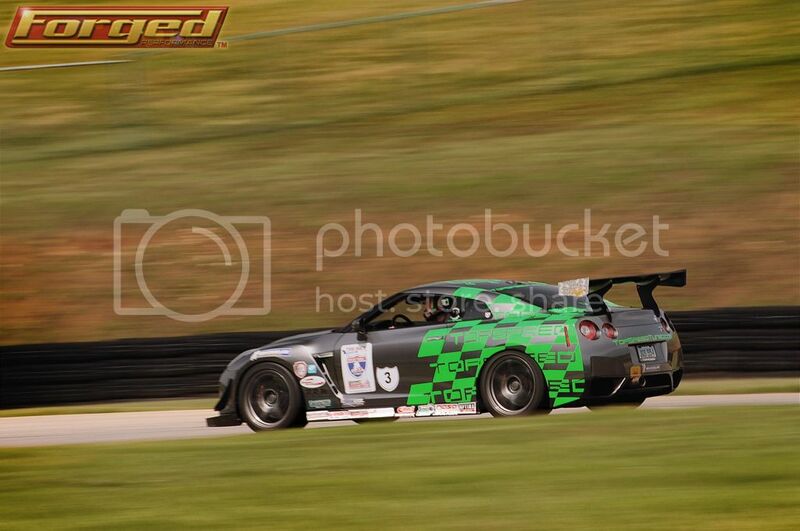 As the morning sessions continued, my team got our car ready for the high anticipated shootout between Cicio from TopSpeed Motorsports and myself: Battle of the Shop Owners. 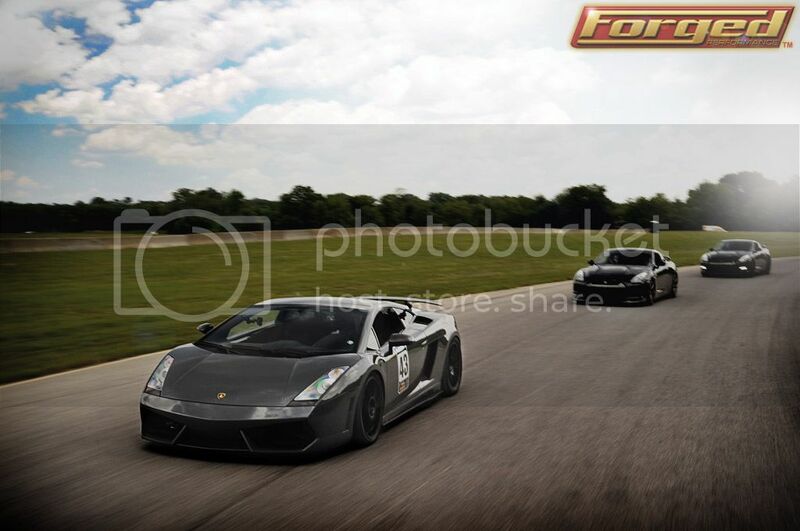 With Grand Am Champ Leh Keen instructing and training Cicio over the past year I was expecting some stiff competition. In morning testing, I realized that the original Michelin PSS tires we used during OLOA were completely undrivable, so we had to improvise. 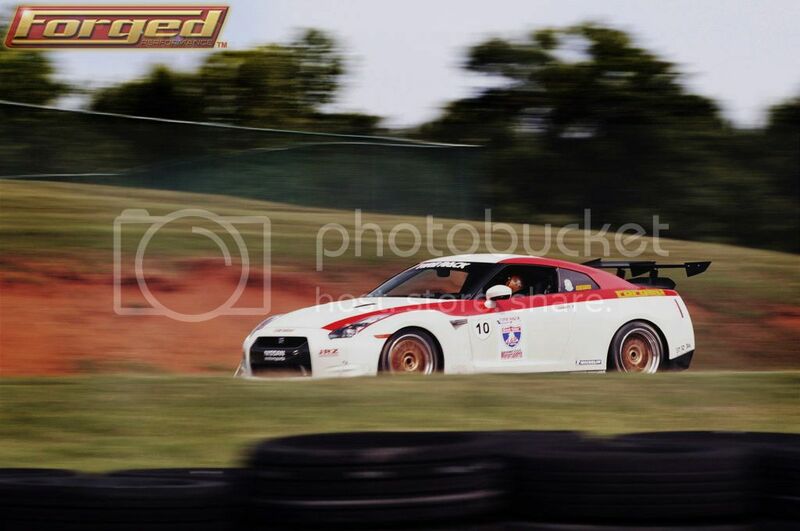 We swapped the wheels and tires from my daily driver GT-R to the Forged/Catesby OLOA GT-R and hoped for the best. 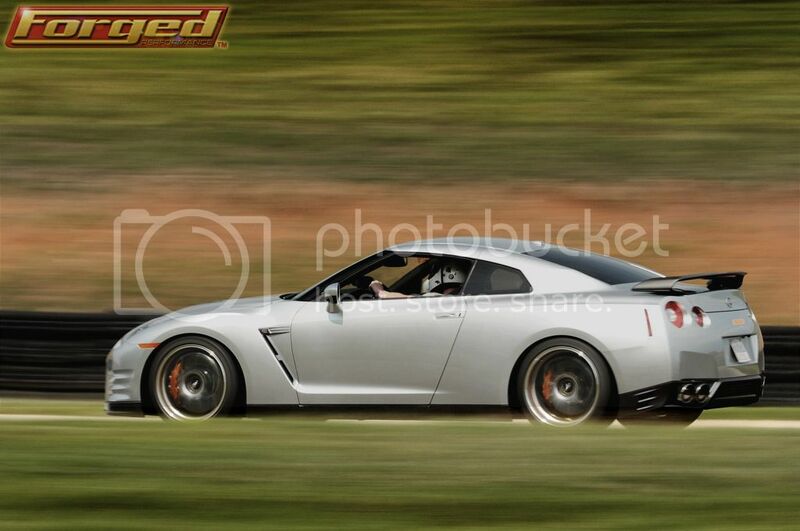 Because my street GT-R uses a staggered setup of 295/335 I knew our suspension, aero, and alignment would not be optimized for the tire but at least I would have a driveable car. So as lunch began, I managed to sneak out on my own for 2 test laps on the staggered tire setup, and although not ideal, I felt I could work with it. With dozens of people lining the hot pit walls, and about a half dozen people piling into the start finish stand the shootout began: 1 warm up lap, 3 hot laps, and a cool down. 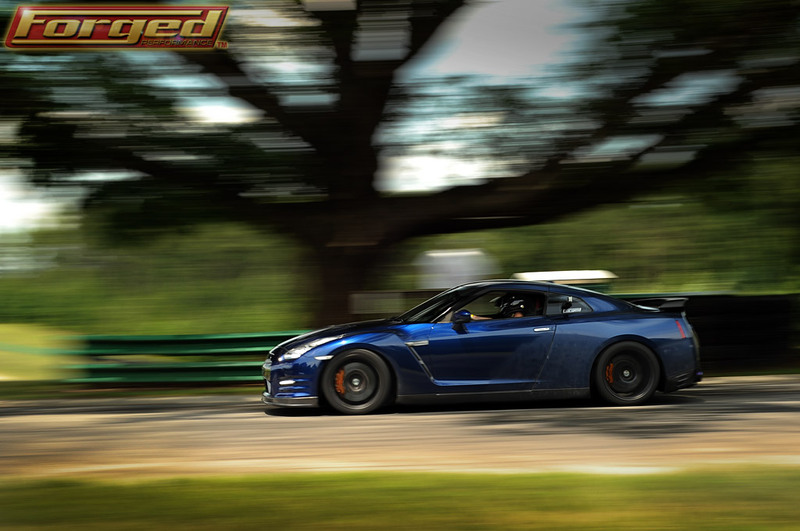 When the dust settled, the Forged/Catesby OLOA GT-R took the top spot with a 1:59.9, followed a couple seconds back by Cicio in the TSM GT-R, and Jay Stoops another second back in his brand new stock powered 2013 GT-R that we recently tweaked with simple suspension, brake, and tire upgrades. 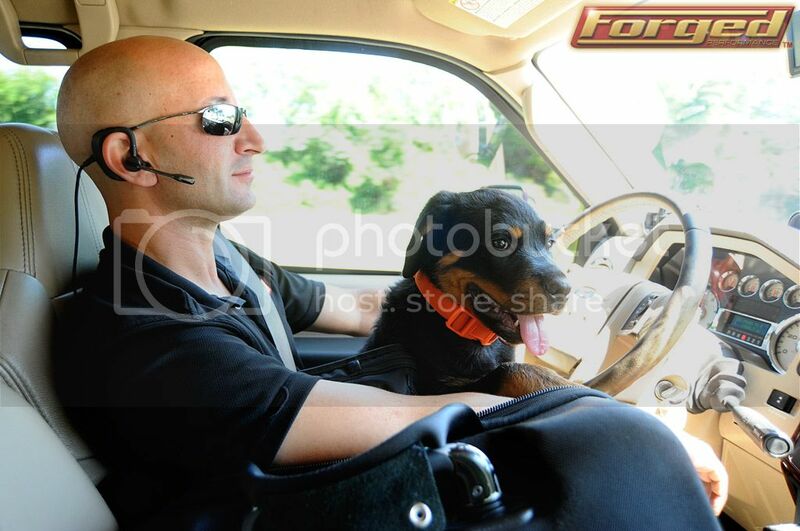 It was definitely an exciting lap. 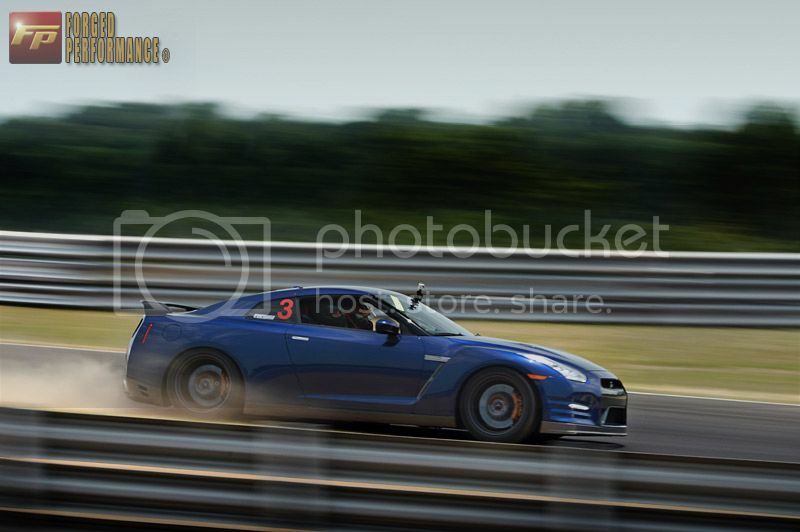 I had a nice 2 wheel off on the setup to the sharp right hander of Oak Tree resulting in a smoke screen of dust, Cicio broke his splitter dropping over the curbing at Turn 5, and Jay Stoops in his stock’ish GT-R was basically sideways in 80% of the corners and still managed to click off a 2:04 laptime with bone stock power, stock coilovers, and no power adders at all. Unquestionably the best looking and sounding car at the event was Ron’s SL. 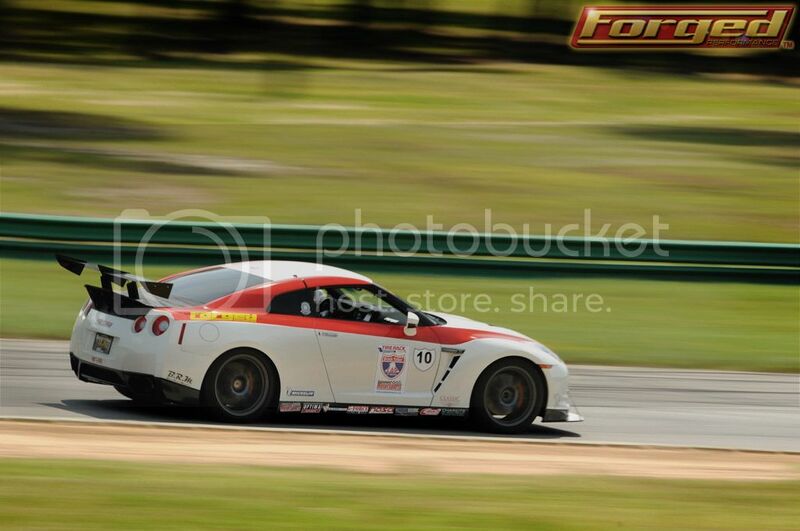 Two time and current Grand-Am GT Chamption Leh Keen falling in love with his 2008 GT3-RS. Giving it a proper orientation. 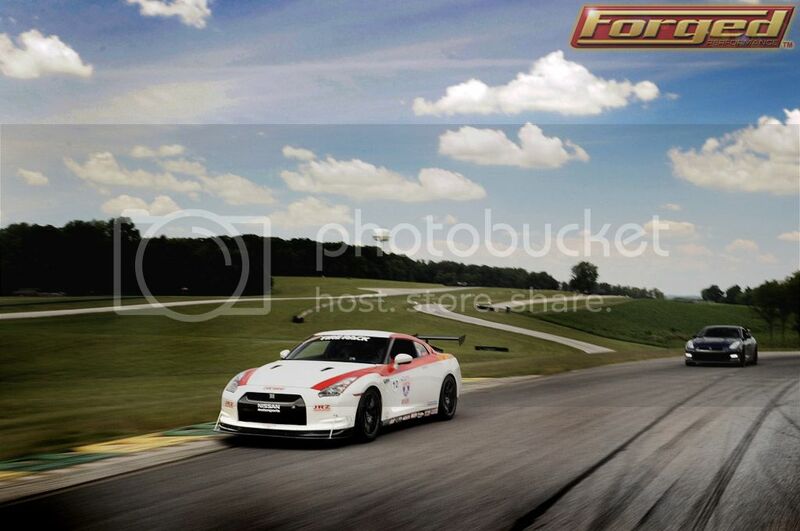 We hope to see you all next year at VIR. It was a very special event for all of us, and hope to make it even bigger and better for 2013!